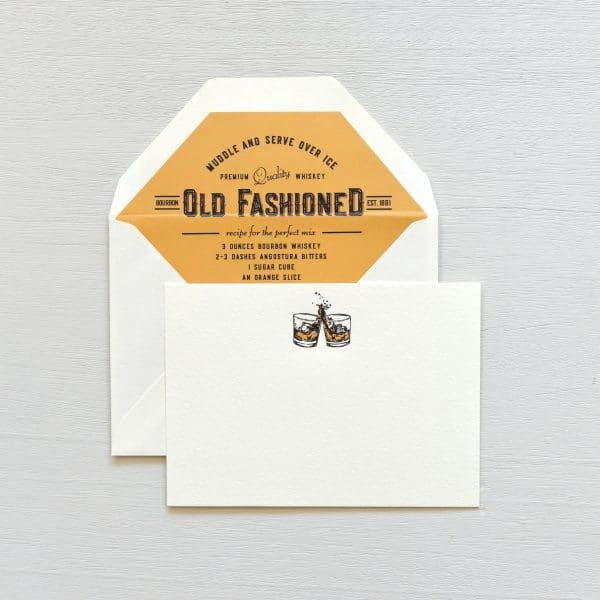 Designed and letterpress printed in Scriptura’s letterpress atelier, these correspondence cards feature two clinking whiskey glasses. As a bonus, the liner gives full instructions for crafting the perfect old fashioned. Ten cards and matching lined envelopes. *This item is available for pre-order and will ship after Easter.